Choosing your car window tint darkness is mainly about following the law. Every state has different legislation regarding tint darkness and reflection and you always want to avoid getting fined because you used tint which was too dark. That being said, most states also allow up to 50% darkness, but for most people it’s hard to figure out exactly how much that is. 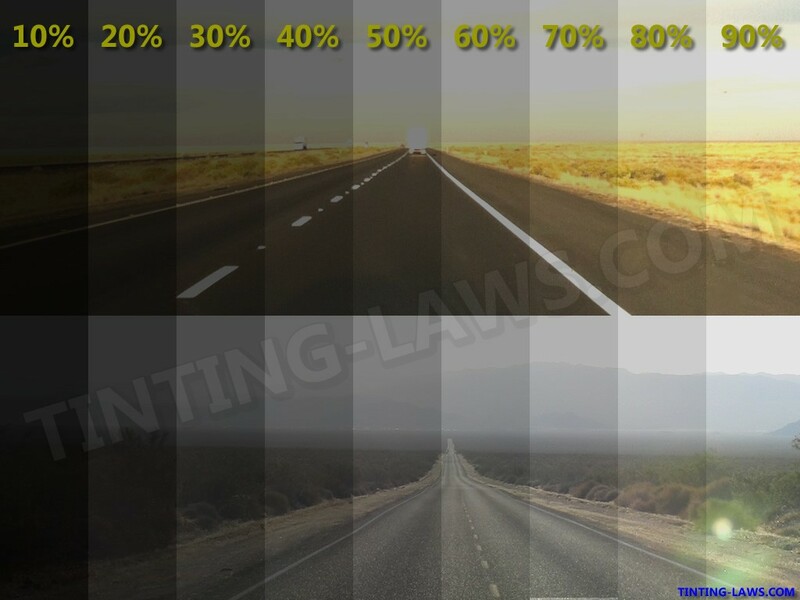 As we mentioned throughout our site, window tint darkness is measured by the percent of light that passes through your windows, which is called VLT — visible light transmission. Your window tint darkness doesn’t have to be under 50% to be effective. Even if your tint film allows 90% or 80% of light it can still have a huge impact on your driving. It can significantly reduce glare from the sun and protect you from harmful UV rays (be sure to read this article to see all benefits of tinted windows). Background photos credit: Krystina & TheJudge310. As you can see having 50% or more light go through isn’t too bad, but is definitely helpful. It can still increase your vision and decrease the glare significantly which is why you shouldn’t go overboard with tinting. You can either purchase and tint your car windows by yourself, or (preferred) have professionals do it for you. In the latter case they should be able to provide you with real-life examples of tinted windows so you can choose the perfect VLT for your needs. Even tinting your windows slightly can have a dramatic effect on your driving capability, reducing the glare from the sun and putting less strain on your eyes. It’s not a very expensive investment to make so if you often drive during the day and if you want to protect yourself from sun’s harmful rays or heat visit a nearby auto tinting business to get your tint done. And remember to take into account whether the tint you chose is within your state law, because the last thing you want is to get pulled over by officers of the law and get fined.